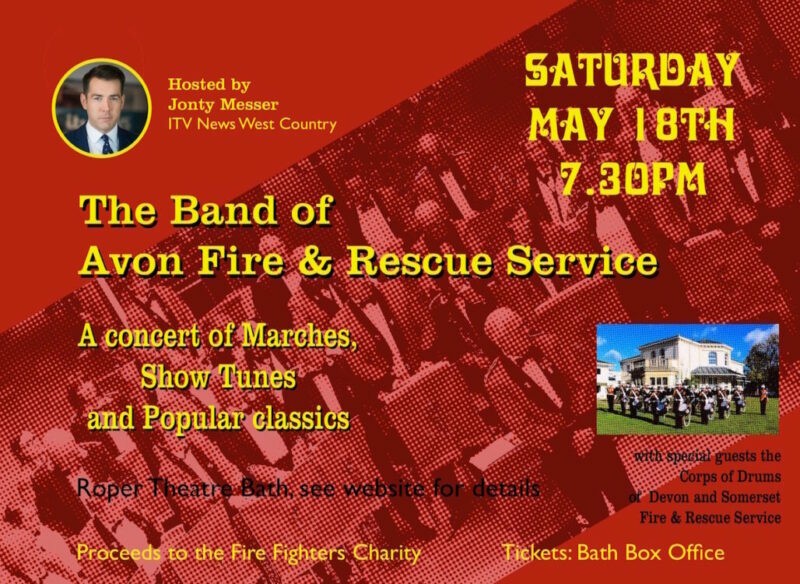 The band is delighted to announce details of our ambitious next concert, which is to be a benefit for the Fire Fighters’ Charity. Click on the image to the the left to see the full poster! We’ll be in the Roper Theatre, a splendid performance venue at Hayesfield School, in the Oldfield Park area of Bath. 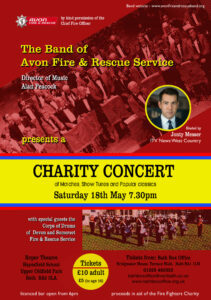 Joining us on stage will be the Corps of Drums of our neighbouring service, Devon and Somerset. Jonty Messer, the main newsreader for ITV News West Country, has generously agreed to be our host for the evening. It’s going to be a great night, with the doors opening at 7pm for a 7.30pm curtain up. We hope to see you all at one of these concerts (or maybe all three) , and that you’ll enjoy the new musical selections we are working on.